Intuitive Audio has recently updated its Chord Composer to version 1.1.0, introducing some new functionality including Strumming with 5 different strumming patterns and fully customizable Chord Triggering. Firstly, all Chord Pad Rows can now be edited, including the 3rd Row which previously only allowed you to edit the Chords via the Chord Generator. Also, all Chord Changes made in this row will now be reflected in the rest of Chord Composer. You can also edit the Velocity, Humanisation and Strum of every Chord in the Chord Pad Grid at both Chord and Row Level, allowing you to fully customise the playing style of your chords. You can now record up to six scenes within the Piano Roll, thereby making it much easier to record your progressions in. The Chord Composer will also continue to loop around these scenes until you stop playback, meaning you can continue to create progressions until you are happy. 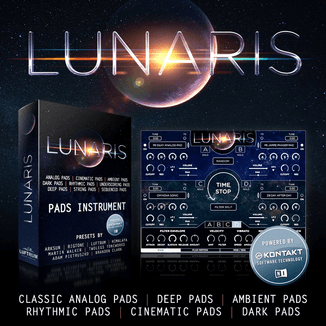 The update also includes 10 additional presets covering different 7 different genres, each with 4 unique chord progressions. 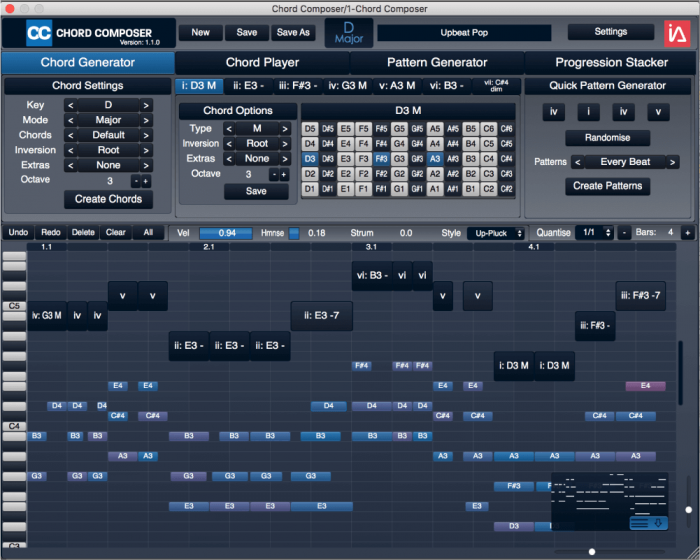 Chord Composer is available for Windows and Mac, priced at £40 GBP incl. tax. It currently supports VST and AU plugin formats, with AAX coming early 2019.